James Hardie fiber cement siding is also available in a variety of different colors and offers a realistic texture that looks beautiful but doesn’t need any of the upkeep that’s required by other materials. It is also offered with an outstanding 50-year limited transferable warranty, so you can be sure that your investment will be protected for years to come. And, when you choose Waddle Exteriors for the installation of James Hardie siding on your home in Omaha or Lincoln, NE, you will get the added benefit of an expert installation. We see to it that our employees are factory trained to ensure that they are knowledgeable in all of the products that they handle. We’re also proud to offer our unmatched 100 percent satisfaction guarantee to support the quality of our work. 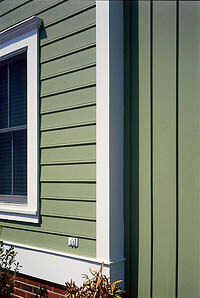 Ready to learn more about the James Hardie siding offered by Waddle Exteriors? Just contact us today. We proudly serve residents of Omaha and Lincoln, NE.